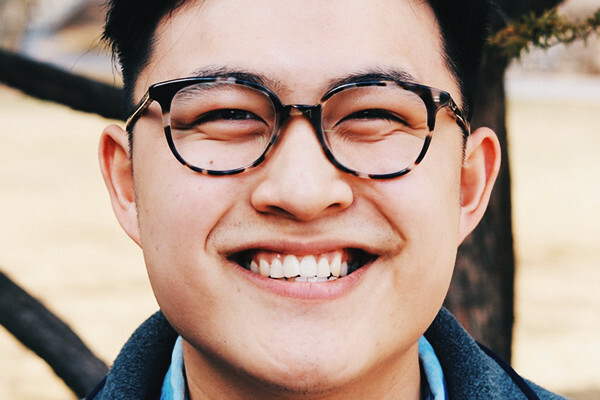 Lee, who has been studying Arabic for six years, is a learning and organizational change major who also is pursuing Middle East and North African studies in the Weinberg College of Arts and Sciences, with an international studies minor. Lee first began learning Arabic through the International Baccalaureate Program at Chicago’s Lincoln Park High School. Before enrolling at Northwestern, he took a gap year to teach and tutor first- and second-year Arabic to Chicago Public Schools students. In addition, Moses contributed reports on technical and vocational education and training in Arab states as a research assistant with UNESCO-UNEVOC, in Bonn, Germany. Last summer, Moses volunteered at the city library in Köln to provide language-learning opportunities for refugees, an experience that boosted his language-instruction skills in German, Arabic, and English. In the future, Moses aims to use his Arabic, German, and Korean language skills in foreign service or non-profit work. Previous SESP winners of the Critical Language Scholarship include Susan MacDougall (BS07) and Nikolai Smith (BS09), who both received scholarships during the 2005-2006 school year. Critical Language Scholarship winners spend eight to ten weeks abroad studying one of 14 critical languages. The program includes intensive language instruction and structured cultural enrichment experiences designed to promote rapid language gains. CLS, a program of the U.S. Department of State, is part of a wider government initiative to expand the number of Americans studying and mastering foreign languages that are considered critical to national security and economic prosperity.